How long does it take a .NET developer to write a Linux application? The Race to Linux project aims to find out. It's no secret that Slackware 10.2 was released yesterday. This was big news and headlined many sites as well as being announced on DistroWatch with the links to download torrents. Slackware puts out a new release once or maybe twice a year if the community is lucky, so when they do release a new version, it's big news. I, like many of you, have been on pins and needles for several weeks now since hints of a impending new release leaked out. Then anticipation grew when the changelog of last week made the press announcing 10.2 was almost ready and should be out maybe by Tuesday. Torrents were made public yesterday and I grabbed my place in line. Excitement overwhelmed me as I booted the install disk. I was not disappointed in what I found. Open Source Content Management Systems (CMS) could be the answer to streamline African newsrooms," says Douglas Aranelles, the Head of Research and Development for the Media Development Loan Fund's Center for Advanced Media. Perl and its supporters are known for working in whatever way suits them, but that can make for unnecessarily complex and confusing code. Here's a book, though, that dares to say \"enough\". Did Google Score a Win Against M$? Both companies claimed victory, after a judge ruled this week that a former top Microsoft engineer could do work for Google. But the search giant may be the real winner. Last night KDE developer Aaron Seigo was interviewed on the live weekly Podcast The Linux Link Tech Show. Episode 101 is now available for download. Time Warner Inc. and Microsoft Corp. are discussing cooperation between their Internet search and advertising networks, a source familiar with the matter said on Thursday. Liquid Computing software architect Ron Van Holst, software designer Sean Liu, and team leader Brent Webster waddle out a flock of 40 plastic penguins to draw attention to the company's drive to find new Linux software developers. Microsoft plans to include the Message Passing Interface-a library specification for message passing proposed as a standard by a broad-based committee of vendors, implementers and users-in its Windows Server 2003 Compute Cluster Edition. Games publishers in the US have been told by the industry's watchdog that they must declare any hidden content in games released since September 2004. A consortium of Linux vendors created to promote the commercial use of the Debian GNU/Linux distribution has released its first product, and plans more. Novell's Jack Messman thinks Microsoft Vista is going to be so expensive that it's going to make users think hard about switching to Linux instead. You know something? He's right. MDV 2006 RC2 - In the Homestretch? 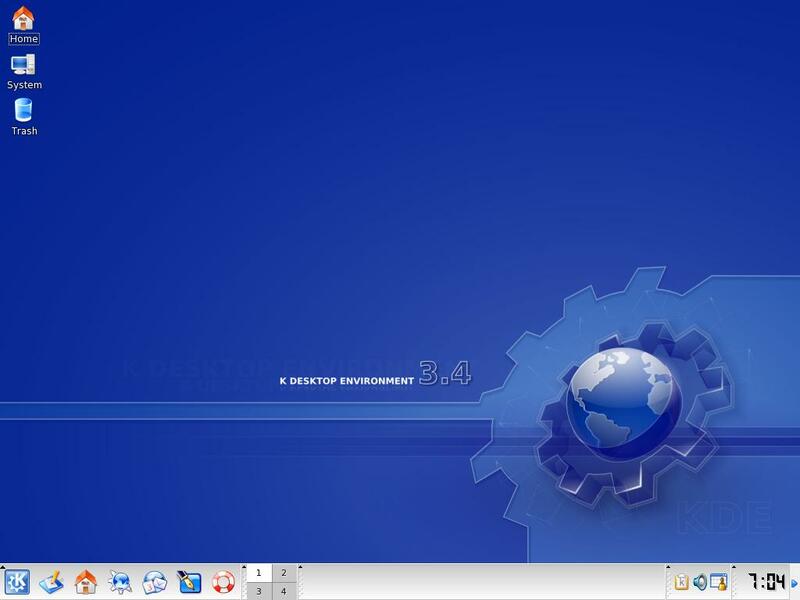 As we continue our coverage of the Mandriva 2006 development cycle, this time we test the upgrade procedure. In addition we also test the newer "isos on the disk" install method. Introduced last release (10.2/2005) this newest install feature is quite exciting. It didn't function in one of the first betas, but does it work this time? And how did the upgrade go? Did all my data get lost? Am I plagued with crashes and lost configurations? And was anything new to behold? More people are now considering open source technology as an option to proprietary software, according to a consultant of the Open Source Computer Security Laboratory (OSCSL). VIA is beginning to ramp up production on the successors to their C3 part, the C7 and C7-M CPU's. Keith Kowal, marketing manager for VIA's chipset platform group, took some time on his promotional tour to talk with us about the new platform. In this interview, Terpstra shoots down some pernicious misunderstandings about Linux and open source and explains how IT organizations often end up shunning their IT planning duties. Also: Poor planning slow Windows-to-Linux desktop migrations. In the midst of further financial difficulties, HP announced today that it is ending its sponsorship of the BMW Williams F1 team at the end of the 2005 racing season. Should Open Source Applications Run On Windows? I was interested in posing questions on this topic to various people that work with, contribute to, or provide customer support and consulting for Open Source applications that run on Windows and Linux. Open-source software, once primarily associated with computer operating systems, is now being used by companies for critical functions and software applications such as storing data, managing customers and analyzing business information.